For photographers interested in getting their work represent by a fine-art gallery or if you’re looking to be inspired by some incredible images, the AIPAD Photography Show, which opened this past Thursday and runs through Sunday, April 7, is a must-see show. The event, which is held each year at Pier 94 on the west side of Manhattan in New York, features more than 90 fine-art galleries along with 30 book dealers and publishers. In addition, you can also check out various AIPAD talks with some of the best fine-art photographers today. 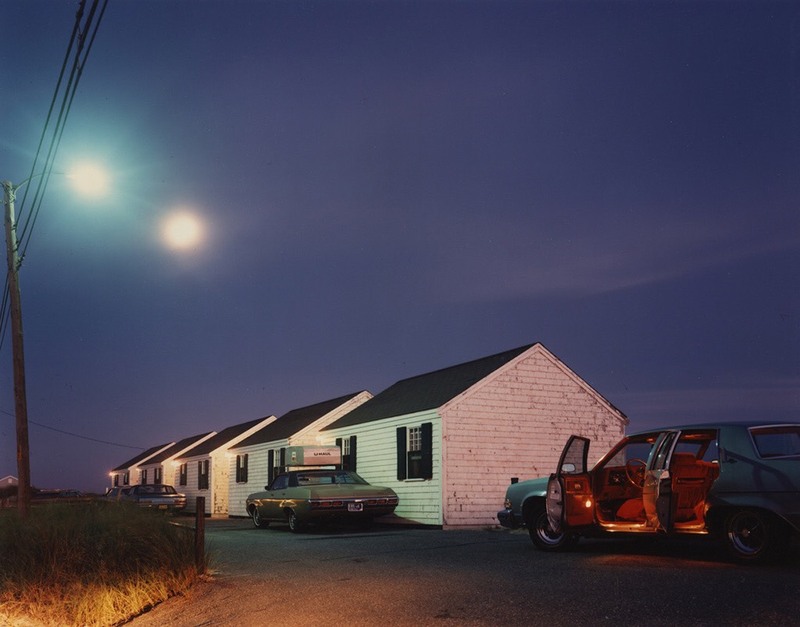 For example, Cig Harvey’s gorgeous images are on view. 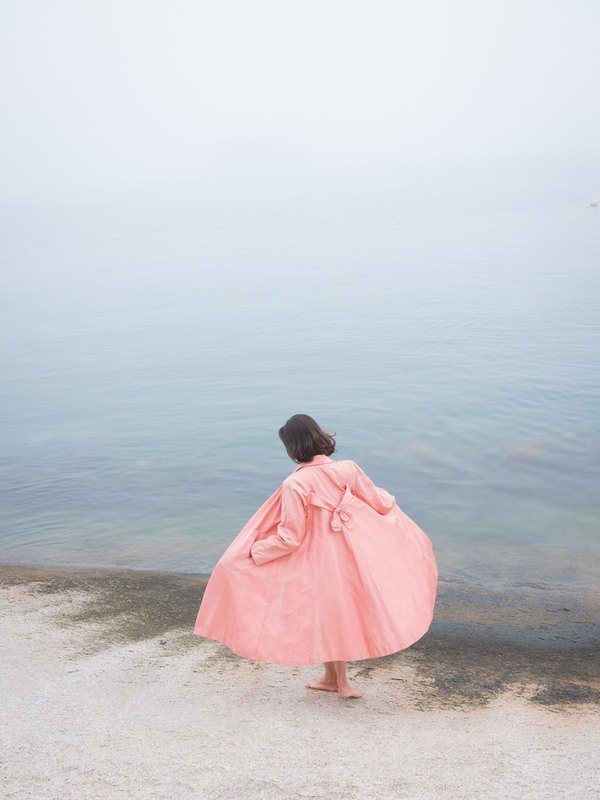 (The lead image for this blog post is hers: “Jesse in the Fog, Pink Coat,” by Cig Harvey, 2018). Her work has a wonderful sense of mystery and dream-like quality to it. But you’ll also found photography veterans like Harry Benson, Stephen Wilkes, Elliot Landy and Joel Meyerowitz. “Red interior, Provincetown, Massachusetts,” 1977, by Joel Meyerowitz. Here are two photographers you should be sure to check out: There are some stunning portraits and images by Dawood Bey, who has been getting a lot of media attention as of late. There are also some superb photographs by Abelardo Morell, who has been producing images of interiors using a camera-obscura technique. In such works, he covers all the windows in a room so that the room is in complete darkness. Next, he cuts a small hole in one of the coverings to let an inverted image show through. Then, he uses a large-format camera to capture both the inverted projected image (from the outside) as well as the objects in the interior room itself. In a way, he’s merging an interior and a landscape in one photograph. To see examples of his work, go to abelardomorell.net/project/camera-obscura/. 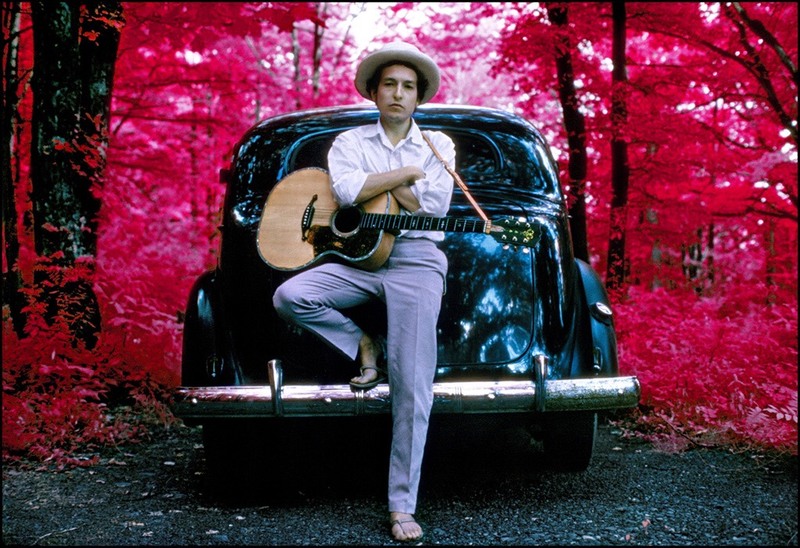 “Bob Dylan Outside His Byrdcliffe Home” 1968, by Elliot Landy. If you have a chance, check out the AIPAD show. For more details, go to aipadshow.com.